Concierge requests are typically predictable: tickets to a show, flowers, artisanal chocolates. But some guests demand a truly outlandish hotel experience. The ability to fulfill those peculiar requests separates the professional concierge from just the schmoes who work at the desk. Michael Romei, chief concierge of the Towers of the Waldorf Astoria New York, has seen various paranormal concierge requests during his tenure of 20-plus years. He most vividly remembers the Australian couple crazy about candy. They wanted near life-size statues of themselves for their wedding -- made out of chocolate. "The pastry chef at the Waldorf had only their photographs to work with," Romei says. It took several months and "several emails back and forth" to get the statues' dimensions just right. At the Loews Ventana Canyon Resort in Tucson, Arizona, lead concierge Victoria Cote was on the first month of her job when a guest asked where he could purchase two camels. Refusing to get her rookie feathers ruffled, she located a dealer 35 minutes from the hotel. The guest went to view the camels but decided against purchasing them, citing "a missing hump." At the St. Ermin's Hotel in Westminster, London, a guest requested a daily supply of Kobe beef fillet for his dog.Not fit for dogs. Actually, it is. The concierge team bought and couriered the steaks from a nearby restaurant daily. Two 150-gram Kobe beef steaks retail for roughly $50 in England. At the Hotel Indigo in Asheville, North Carolina, a guest asked for a unicorn to be waiting in his room upon arrival. "We saw your request for a unicorn. Unfortunately this is the wrong season. 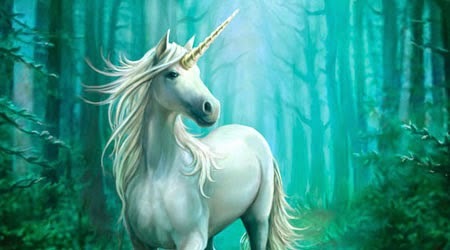 Due to their migratory habits, unicorns currently inhabit the second star to the right of twilight. "They are expected to return to Asheville sometime this June. "In the meantime (as Asheville is known among many circles as the Unicorn Capital of the South), we hope that you can accept this very accurate artist rendition of our native fauna. "If this is unacceptable, we do profusely apologize. As you are not the first guest to express interest in our local wildlife, we have planned a meeting with the head unicorn, Lord Mangus Biffy of the Rainbows on perhaps adjusting his peoples/horses/mythical creatures move to somewhere outside the universe to better align with our guest wishes. "The Society of Proper and Right Unicorn Caretaking." When a Fortune 500 company contacted Vegas Luxury Group VIP to help them throw a "Hangover"-inspired party, the concierge service got them a great rate on the same suite used in the movie. Added to the mix were savvy bartenders, a DJ and various related characters: a 250-pound guy in a baby suit, two people in tiger costumes, a Mike Tyson lookalike, people in togas and others dressed as characters from the "Wolf Pack." An elderly woman contacted the Hilton Hawaiian Village in Honolulu to ask if she could scatter her dog's ashes in the sea. Concierge Bert Momotomi spoke to the woman and discovered her beloved pooch, Aloha Pumehaha, who had been born in Honolulu, had recently passed away. Local canoe and charter boat clubs proved too pricey. Then, Atlantis Submarines agreed to take the lady out to sea during their last shuttle to the sub and at no cost. Momotomi escorted the woman and helped her scatter the dog's ashes in the ocean. "I had obtained a lei from our lei-making instructor and we prayed together as we tossed the lei into the ocean," Momotomi says. "It was extremely gratifying to help this woman who had tears rolling down her face with her dream of bringing Aloha Pumehana home." At the Kenwood Inn and Spa in Sonoma, California, a gentleman wanted to partially recreate his first date with his girlfriend -- listening to a mariachi band at a Mexican restaurant -- so he could pop the question, on bended knee, in the middle of the Golden Gate Bridge. With security at an all-time high -- it was shortly after 9/11 -- chief concierge Eric Edenfield had to sneak seven guys onto the bridge walking in opposite directions, have them put on their sombreros in the middle of the bridge, pull out their instruments and play a tune while the man kneeled. "It caused quite a stir on the bridge that day," says Edenfield. "She did say yes, thankfully, but it was one of the hardest requests I've ever been asked to fulfill." At the Four Seasons Resort The Biltmore in Santa Barbara, California, senior concierge Katie Allan was faced with an irate guest whose wedding centerpiece -- a custom fingerprint artwork -- hadn't arrived in the mail. The wedding was hours away. "In a few hours, the concierge found an artist and had a courier pick up the appropriate canvas and paints," says Allan. "The artist created artwork similar to the original -- the team had to blow dry the canvas to ensure the paint dried in time."